While she always loved cooking and baking, she realized around the time of the recession that she needed a plan B, so she moved to California and joined the Air Force. 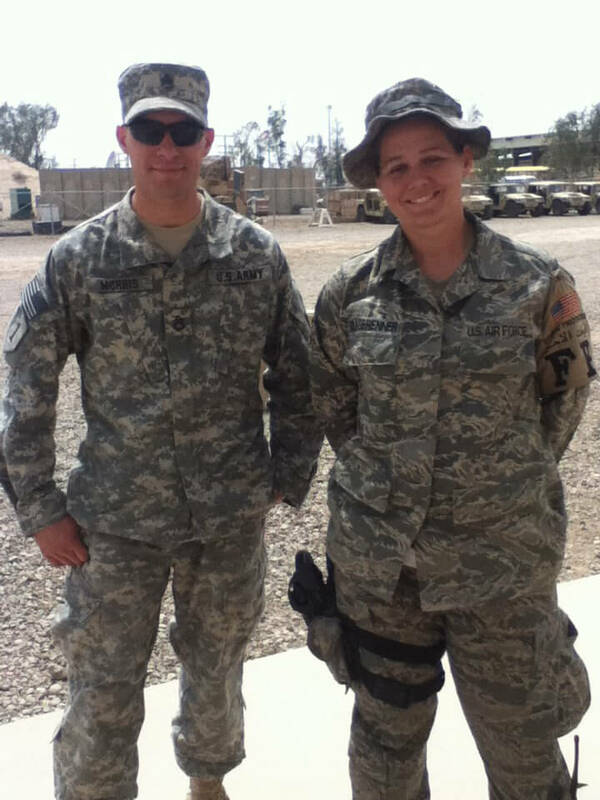 Now a mom, Schwartz is out of the Air Force and finishing her BSBA online. She credits the online classroom for allowing her to pursue her degree while being a working parent. Why did you choose Johnson & Wales University to get your degree? I deployed for three years to Okinawa, Japan. When I came back home, I only had a couple years left of my commitment so I had to start thinking about life after the Air Force. I decided to go back to JWU for my bachelor’s degree in supply chain management, and I’m expected to graduate in November of 2019! Since I had already attended JWU before, transferring any classes I had was so easy. Why do you enjoy taking online classes? Online courses fit in with my moving lifestyle and give me the freedom to do class on my own time. At the beginning of my classes, I had a child, left the military, and moved across the country. For a busy mom, the online program was necessary and worked great with a small child. Has anyone influenced your experience and success at JWU Online? My academic advisor, Thomas Strawn, has been so helpful in navigating the questions and helping me register for my classes. Why did you choose to study operations and supply chain management? I wanted something more stable for my family, and I enjoy the business aspect of how products and materials move from point A to point B. It is also a growing business area so there are many opportunities to work in different industries. Also, my dad studied supply chain, so he and I can talk about different parts of the chain and how everything works together. What is your secret to taking classes online and parenting a toddler? For most of my schooling, I was a stay-at-home mom. In order to be able to do class with a very energetic little one, I joined a gym that offers four hours of day care a day. I was there twice a day for two hours to get some studying done. Going to the gym to study really helped so I wasn’t spending all night doing homework. Even with my partner’s help, studying while being a parent is difficult, so I am happy that I can do my classes anywhere. Recently, I started looking for a job and having Johnson & Wales on my resume has really helped get my foot in the door at my company. Within six weeks, I transferred from one department and became a buyer in the purchasing department. This current job is flexible and works well with my schedule, and my boss is teaching me how to analyze products and do lean manufacturing with the products I buy. I am looking forward to where this new career path takes me!